organization in which they work. 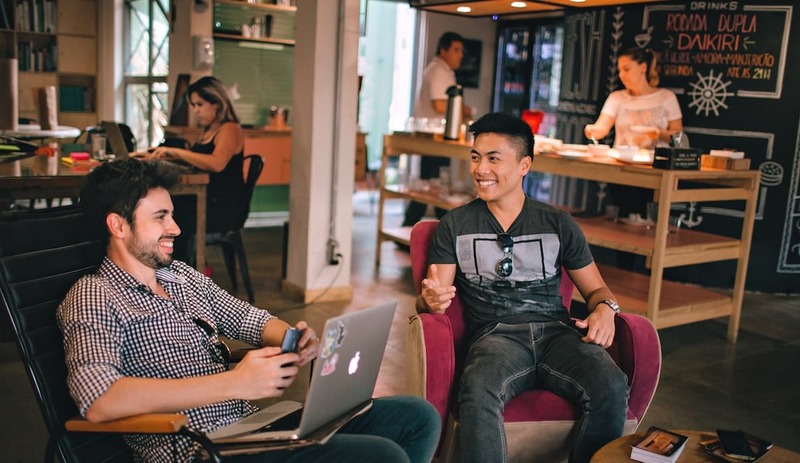 The Employee Experience Definition: The employee experience is the sum of perceptions employees have about their interactions with the organization in which they work. The employee experience is the operating environment for your people. If this environment is properly structured, it will attract, retain, and engage your employees. 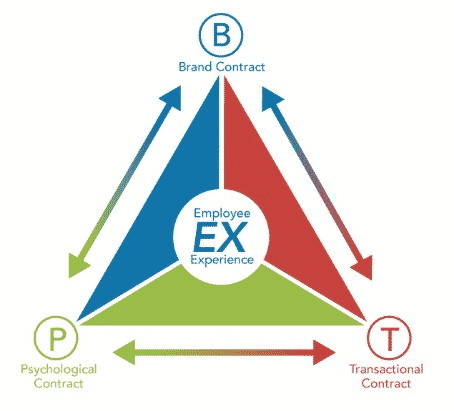 The employee experience is governed by three categories or “contracts” that impact the way an individual thinks, feels, and performs. The Brand Contract is how the organization or team is viewed publicly. It determines how well the company or team is positioned as an employer of choice. It is measured by understanding what initially attracted employees to work for your organization. The Transactional Contract is the explicit employment agreement. It determines how satisfied employees are with their jobs and drives retention. The Psychological Contract is the unwritten set of expectations that are implicit in the job. These include expectations regarding Meaning, Autonomy, Growth, Impact and Connection (ENGAGEMENT MAGIC®) and drive employee engagement and performance. EX depends largely on perception and expectations. The perception portion dictates the outcome of the experience. The Employee Experience is based on the employee’s perception of what it going on, and not always on the reality of what occurs. This is why Ingvar and Edvar can have identical experiences, yet their EXs can be vastly different. Most organizations fail to understand this concept. They believe that creating a stellar EX is a matter of tossing out a few perks that they believe to be universally appealing, then calling themselves “great places to work.” Yet their workers are still disengaged, and they move on to places where their EX is better aligned with what they’re looking for. The world has changed. We now live in a global economy. Organizations are facing a more competitive environment as the advantages created by advances in technology, systems design, and communications have been fully leveraged by most companies. Competition for the best talent has also increased as employees have become more mobile and less loyal to their employers. But the best companies know that their employees drive their success and that by focusing on the employee experience management, a company can create a thriving organization that attracts and retains the best talent in order to out-perform the competition. DecisionWise helps you evaluate and design an optimal employee experience survey for the entire employee life-cycle that will positively impact organization performance. We measure, analyze, diagnose, and develop tailored interventions that will attract, retain, and engage your employees resulting in higher performance and organization growth. While certainly a part of the EX, the Employee Life Cycle is distinct, made up of all the steps or processes in which an employee participates during his or her relationship with the organization. The ELC is chronological and sequential and assumes a beginning and an end. The Employee Life Cycle includes important events and processes like recruiting, onboarding, employee development, promotion, and exit interviews. The ELC is an important part of the human resources process, because it takes into account the steps that occur from an employee’s first contact with the organization to the last interaction after termination. However, the Employee Life Cycle differs from the Employee Experience in two very significant ways: perceptions and expectations.